Clarigel Exfolilating Cleanser, fast-acting, concentrated Spot Treatment and oil-free Problematic Skin Care Cream effectively control the bacteria, excess dead skin and oil that trigger acne for clear, blemish-free skin. Kill acne-causing bacteria, clear pores, heal and prevent breakouts, blackheads and pimples, plus soothe, hydrate and protect. For those with stubborn acne, blackheads, pimples who want to quickly heal breakouts. Also great for those who want to refine their pores, brighten their complexion and prefer oil-free products. Clarigel Exfoliating Cleanser, Problematic Skin Care Cream, and Spot Treatment. 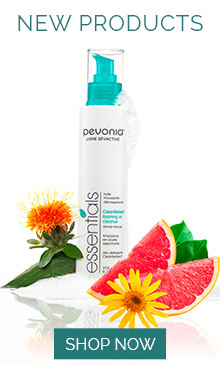 Morning and evening foam a small quantity of the Clarigel Exfoliating Cleanser between wet palms. Apply on your face and neck and work with wet fingertips avoiding contact with your inner eye area. Rinse with warm water and towel dry. Then, sparingly apply 5 to 7 drops of the Spot Treatment on specific areas or all over the face as needed. Wait one minute, then apply the Problematic Skin Care Cream all over face and neck. For best results, after cleansing wipe your face and neck with a cotton pad moist with Combination Skin Lotion (sold separately).